As part of an ongoing project with Birchwood Group I was shooting these beautiful custom Triumph Motorcycles this week. First, a stunning Triumph Bonneville T100 with a tank from 8 Ball Custom Paint, then a jaw dropping Triumph Bonneville Bobber. My current favourite bike. But with the custom purple paint from 8 Ball Custom paint, this bike looked even more special. 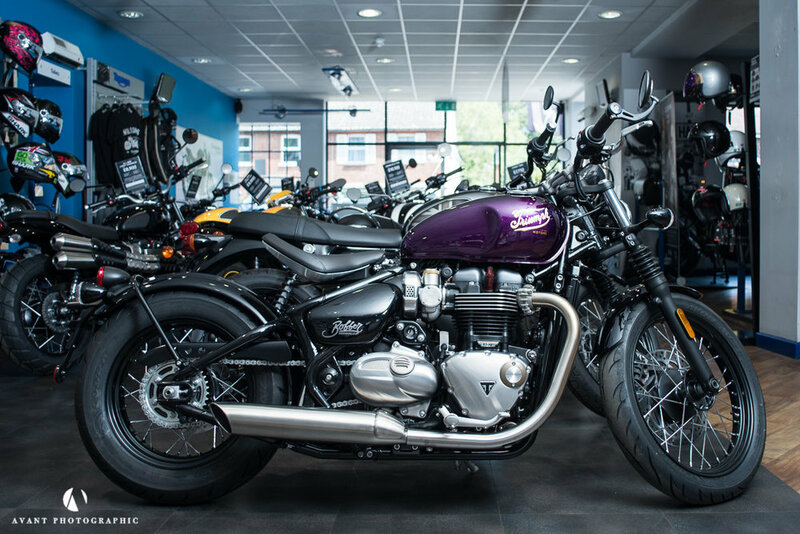 Triumph are an incredible brand; currently catching the wave and benefiting from the resurgence of popularity of the custom bike scene, the cafe racer style and the desire among bikers, new and old, to ride something with heritage and and epic styling. More images will be coming soon of Triumph Motorcycles, on location. All images by ©Avant Commercial. Nikon D810 24mm 2.8 and 85MM 1.8 lenses.